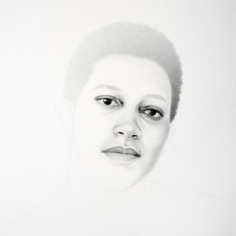 Samantha Wall will present a new series of drawings and prints that explore the portrait as a means of communication about invisibility and hypervisibility experienced by women of color. She notes that “our bodies exist in an uneasy social space, corporeal and yet at times insubstantial. Influenced by the narrative elasticity of science fiction and its power to reposition our point of view, my work reflects familiar sensations from unfamiliar perspectives to position female bodies of color as the norm rather than a deviation." Some of the most striking elements "See Me See You" are the things that aren’t there. 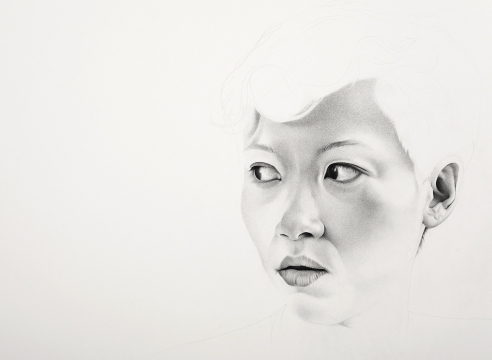 In a series of graphite drawings of women of color, Wall renders her subjects' eyes, nose and lips—the features that most often telegraph race—in photorealistic detail. They jump from the paper, perfectly rendered, while the rest of the figure disappears into the whiteness of the background, into the whiteness of the world. 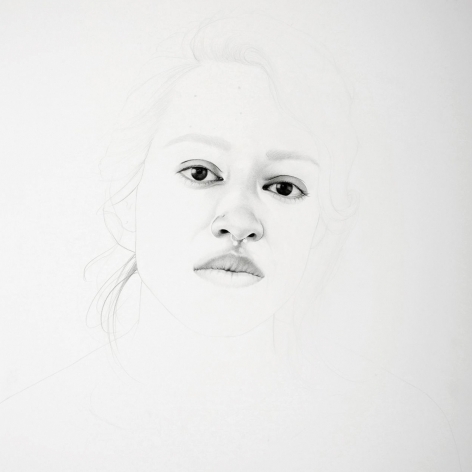 I thought about that as I looked at Samantha Wall’s series of drawings of women’s faces at Laura Russo Gallery. Some 60 years after de Kooning thought it both impossible to paint a face and impossible to avoid painting a face, Wall has found a way to depict faces that is somehow bold, restrained and, most impressively, fresh.